 The Barlett & Steele 2017 awards will be presented on Monday, Nov. 20, at the Walter Cronkite School of Journalism and Mass Communication . What does it take to produce an award-winning piece of investigative business journalism? Does it require dozens of pavement-pounding reporters who methodically uncover the mishandling of potentially fatal prescription doses? Or can it be one man bent on revealing how ruthless executives profited from the demise of a beloved employee-owned business? On the evening of Nov. 20, the Reynolds Center invites the public to a revealing talk that goes behind the scenes of groundbreaking business journalism. 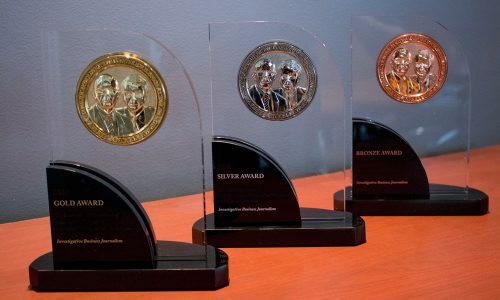 As part of this year’s Barlett & Steele awards ceremony, winners of the gold, silver and bronze prize-winning reports will take the stage in the First Amendment Forum at the Walter Cronkite School of Journalism and Mass Communication. Jim Steele, part of the Pulitzer Prize-winning investigative reporting duo Barlett & Steele, will lead the panel and dig into the stories behind the stories. Reporters from the Chicago Tribune, who uncovered commonplace—and potentially fatal—errors by the nation’s largest pharmacies, will share the challenges of their two-year paper-wide investigation, “Dangerous Doses.” The gold-award winning series resulted in reform measures across the U.S.
Also contributing to the evening will be the silver-winning Post and Courier of Charleston, Scout Carolina, for exposing the executive greed that doomed iconic grocer Piggly Wiggly Carolina, and MedPage Today, which took bronze for its report on the drug companies and experts that colluded to turn everyday ailments into full-blown medical disorders, while pocketing hefty profits.